Good afternoon everyone! I hope you are all having a great hump day so far. I personally am already counting down the hours to the weekend! 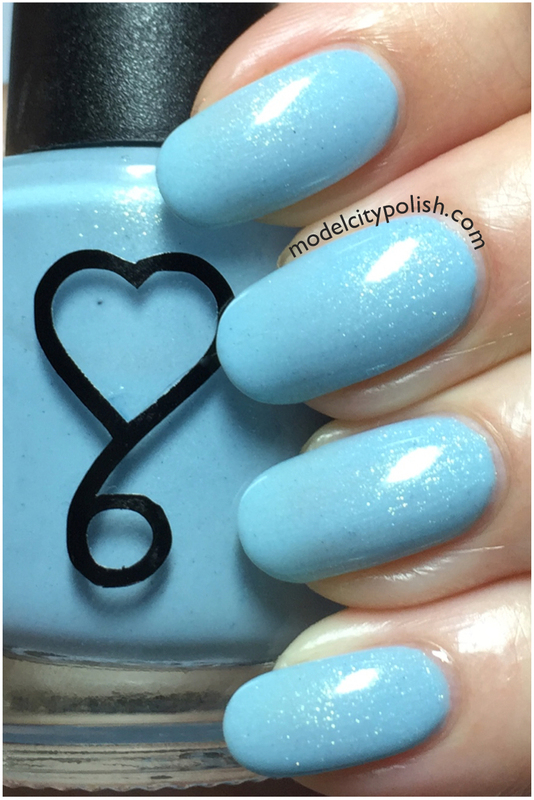 Today I have two lovely lacquers from 6 Harts to share with you guys. 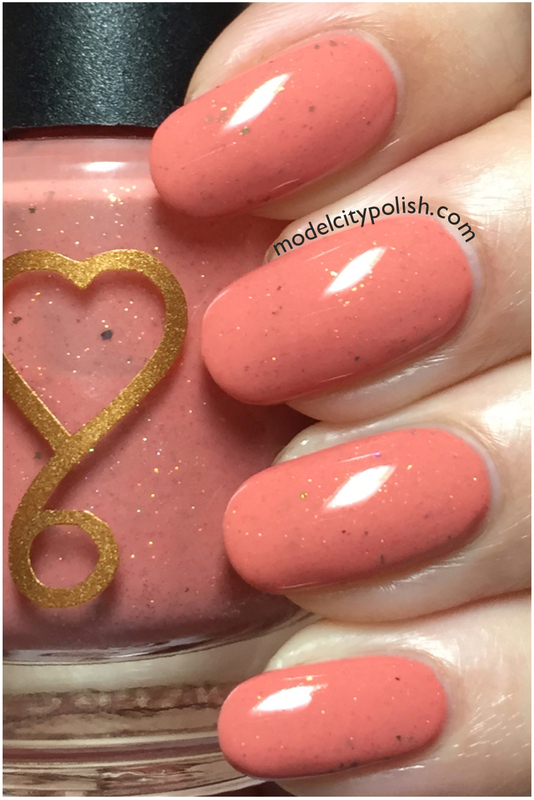 I had the pleasure of meeting Courtney while in Vegas attending Cosmoprof and while USPS screwed up her Vegas shipments, she was nice enough to offer to send me a lacquer to share with you guys. Now I know how awful USPS can be sometimes and felt bad that she was having to ship out so many lacquers due to their error so I picked up another fun lacquer from her shop to help on shipping costs. 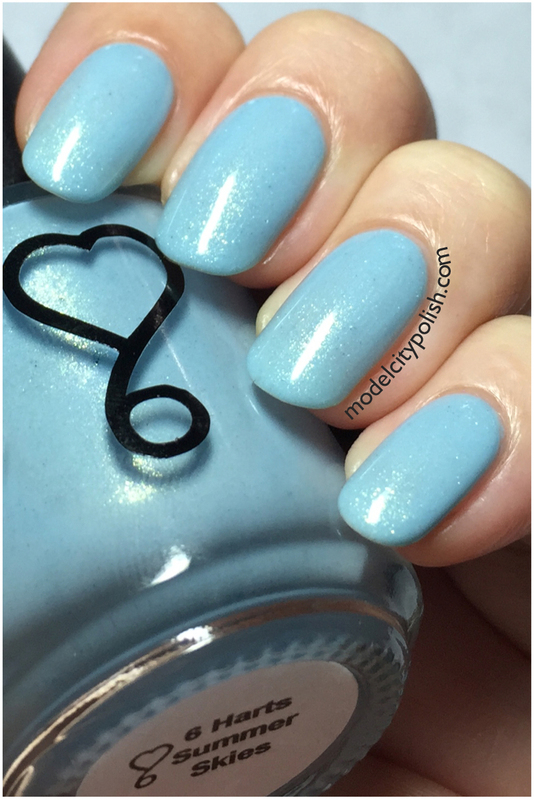 Today we are going to take a look at both lacquers. 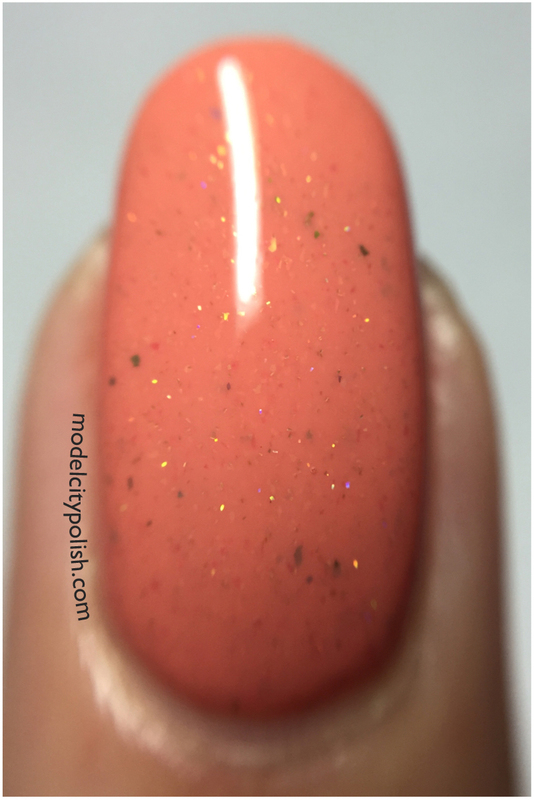 First up we have Nice Peaches!, the Vegas press sample. 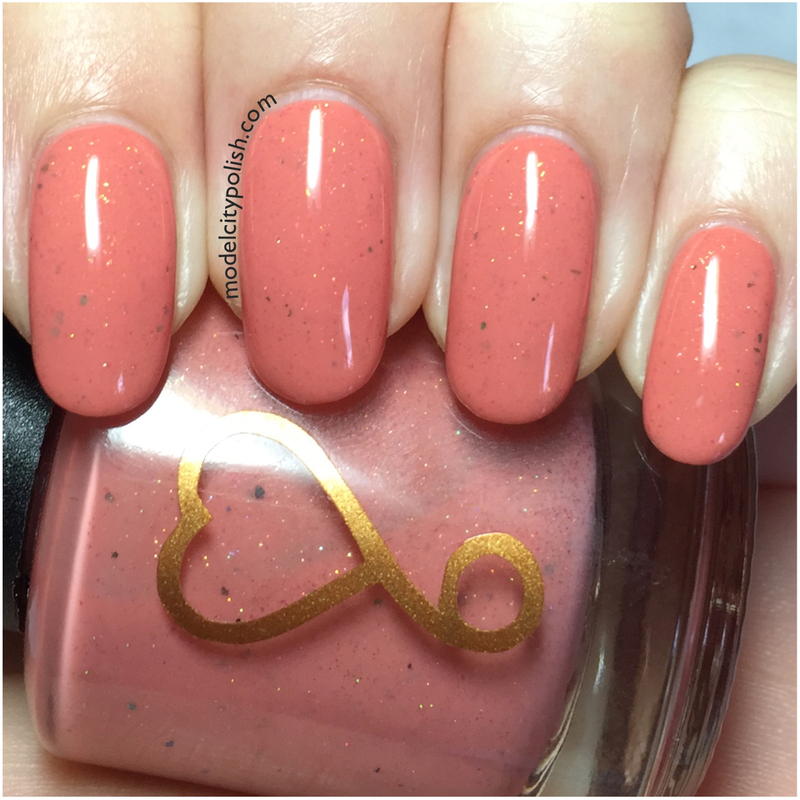 This is a beautiful peach, orange creme filled with gold shimmer and red to gold flakes. Application and formula were both amazing. 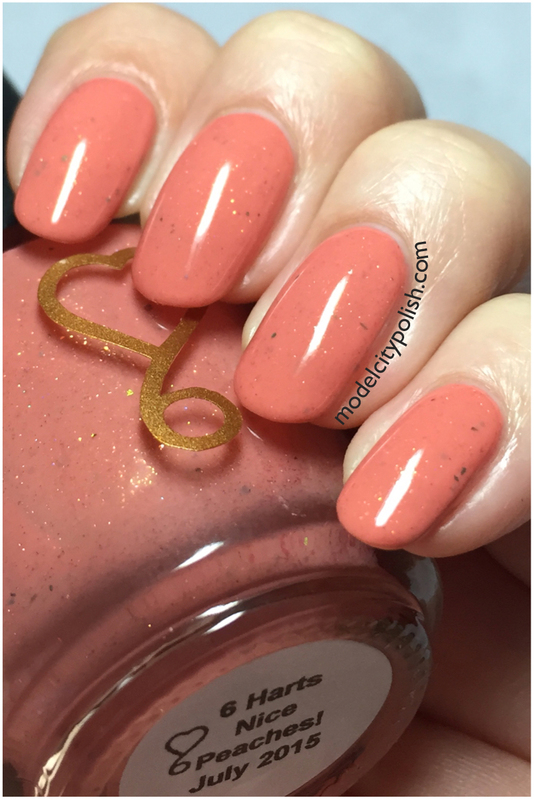 In my photos I am wearing three coats of Nice Peaches! and one coat of clear. Next up we have my purchase, Summer Skies. 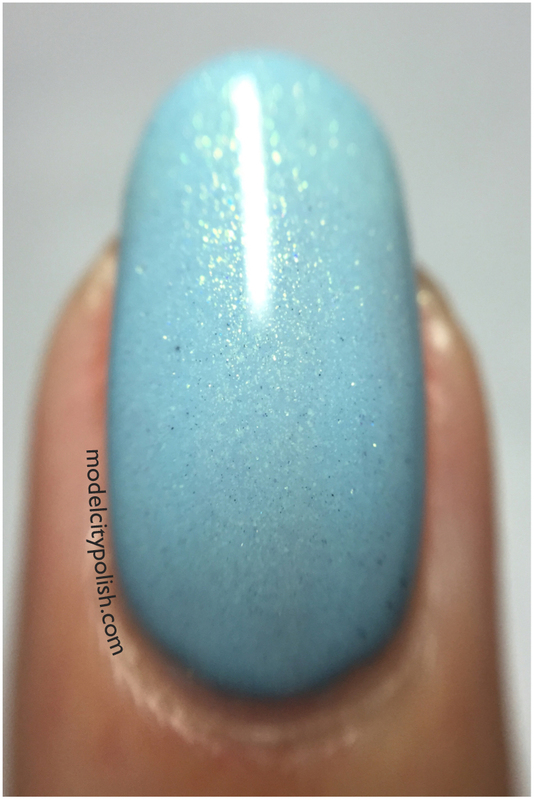 This is a lovely pale blue creme filled with a green shimmer. 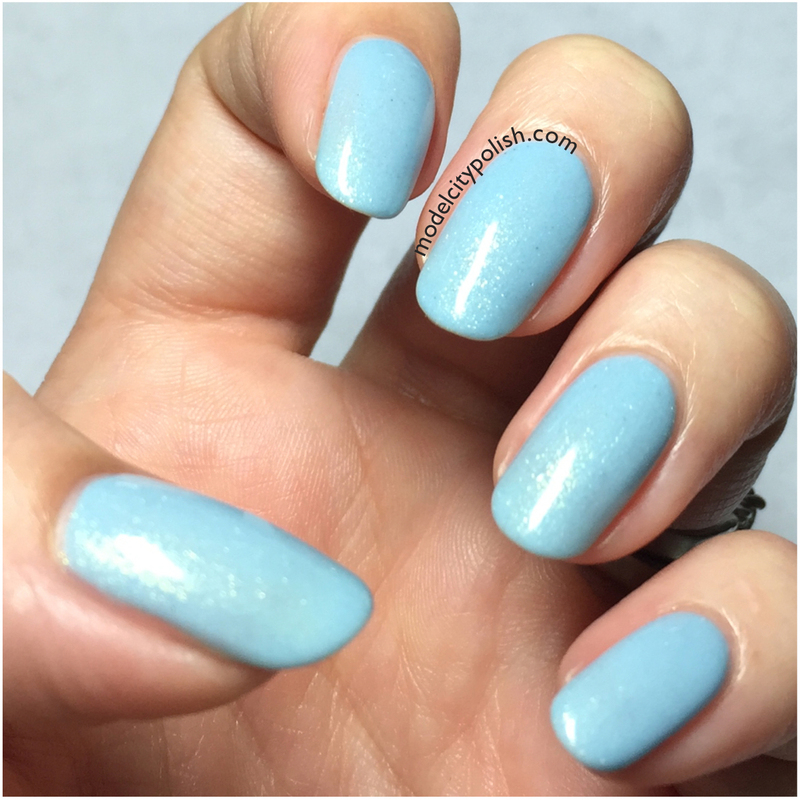 When I applied my first coat I was concerned with opacity but it actually builds up nicely, and really let’s the shimmer shine. Again the formula and application went very smoothly. In my photos I am wearing three coats of Summer Skies. 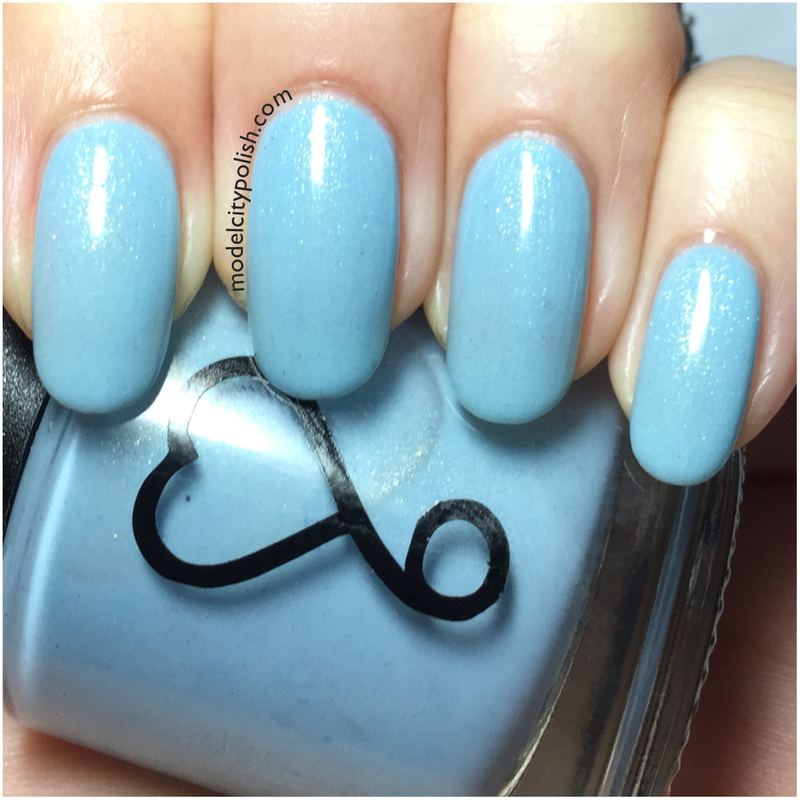 So what do you guys think of today’s lacquers? This was my first time trying out 6 Harts and I must say I am rather impressed and look forward to trying out more. 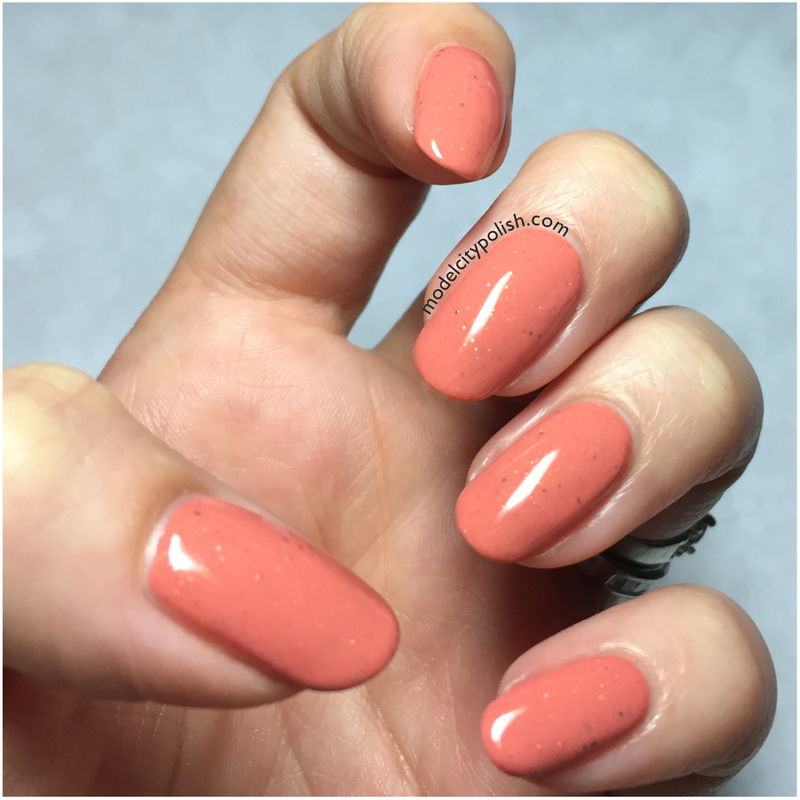 The lacquers were very easy to work with, formula nice and smooth, and coverage was great. Nice Peaches! should be available later this month but until then be sure to give 6 Harts a follow on Facebook and Instagram for up to date info and shop reopening. Thank you so much for stopping by today and I will see you all again tomorrow. Nice Peaches! was provided for review but that does not influence my opinions.